Beach goodie box... made easy! Welcome to the first day of the My Time Made Easy June peeks! Today we are previewing the Fresh Popped template, while it looks like a container for popcorn, you will see today that there are MANY more uses for this uber cute template! I put mine on a beach towel and added some “Sun n Fun” goodies… Burt’s Bees, a Soduku book, some fun colored pens, sun screen and MiO Water Enhancer. The template is super easy to put together and comes with the fun stripes to add on to decorate with, though you could just as easily leave them off. Most of the time I really try to WOW! you and myself with my template peeks, well this month we had to leave town kind of last minute so I grabbed some paper, flowers, ribbon and buttons… that’s it! Limited Supplies almost always frustrate the heck out me, but while this is simple it all came together so easily. I even forgot my ATG and had to use a glue stick, and my Cricut was being silly so I had to use kitchen shears to trim some of the pieces… interesting project, lol! Did you hear that this month’s release is all digi? Yes, I absolutely said “HOLY SNICKERDOODLES” when I heard, because digi & I just haven’t become friends yet (though we are starting to bond some, have you seen my sketches on the My Time Made Easy Blog?). So I decided to jump on the Digi bandwagon with both feet and made a card for today ALL digi! I can’t print it where I am, but I can certainly print it when I get home and then put it on a card base…Voila! I used Gimp to make this whole card (even to color the image). For the layout I used this week's Pretty Patterns sketch. I am still learning some aspects of Gimp so my card is kind of plain looking, nevertheless I had so much fun making it! 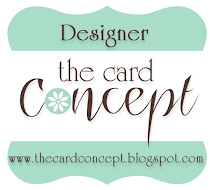 I ran out of time and wasn’t able to pack my card making goodies… what a great solution in a pinch! Make sure you pop over and visit Lauren, Katie & Lisa (you’re gonna love what they’ve done!). Thanks for popping in hope to see you back again soon.